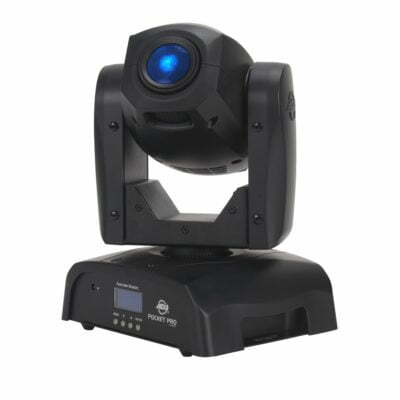 Why Buy LED Stage Lights? 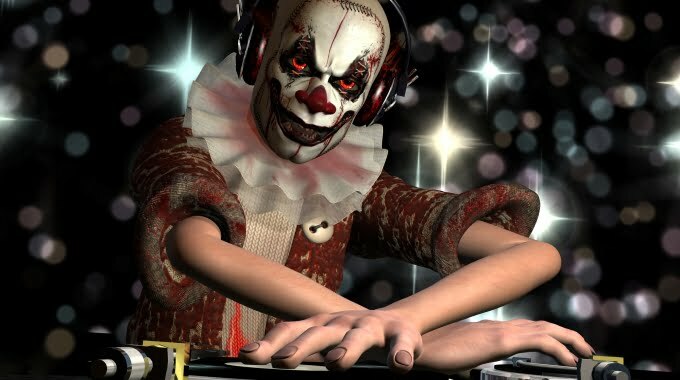 High Powered LED (Light Emitting Diode) technology means that we can now use those funny little glowing things that used to live on the front of your television, in theatre shows, live music gigs and corporate shows. LED fixtures have many advantages over “old fashioned” lanterns that make them attractive in stage lighting. Low Power Consumption – Because the LED uses a fraction of the power of an normal lightbulb (lamp), the power consumption of LED lighting fixtures is very small. This means you can use a lot of fixtures on small power supply such as a 13A domestic socket. 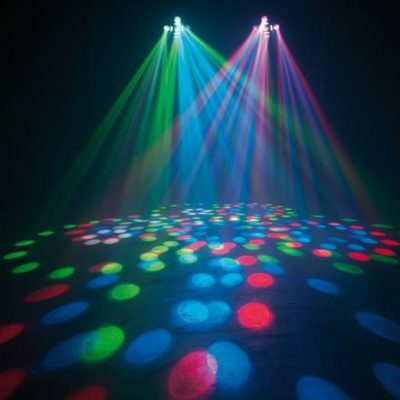 This is great for small band lighting rigs and the disco or party DJ. 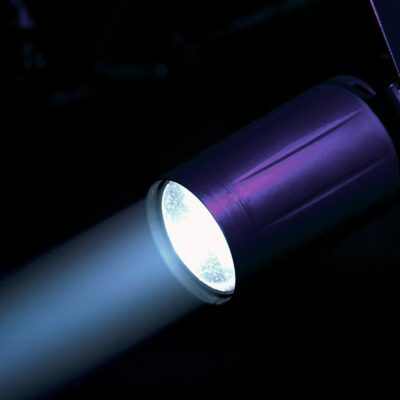 Low Heat Radiation – Although LED stage lighting does produce heat, the fixtures produce light without getting extremely hot. 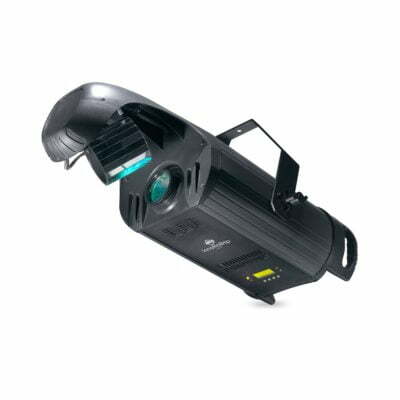 Modern stage lighting lamps produce more heat (and light) than they ever have. This has been coupled with improved lantern casings to minimise the risk of burning the operator. 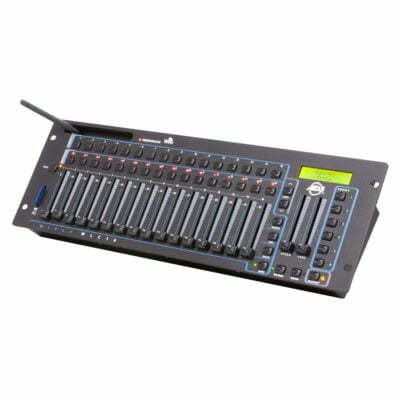 There are, however, some environments where the low heat properties of LED stage lighting are desirable. 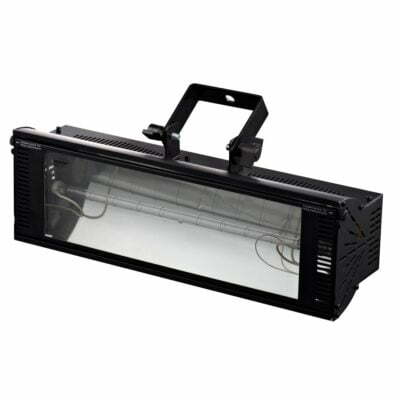 Lightweight and Portable – The hardware that LED fixtures are packaged in does not need to be heavy and, although the various power supplies and elements all add weight, LED units are usually fairly light. 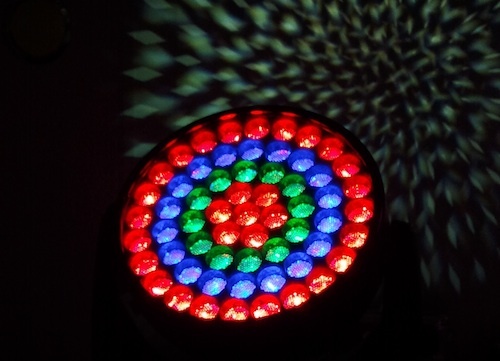 Colour Effects – The most common way for LED lights to be used for stage lighting purposes is using a combination of different coloured LEDs. 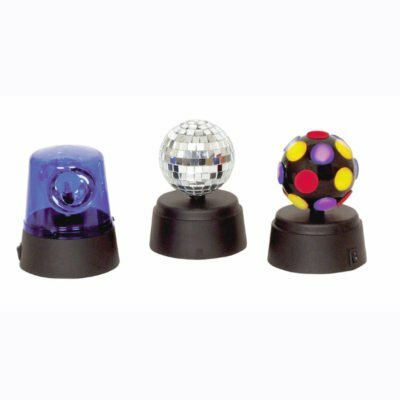 A fixture with all three three lighting primary colours, Red, Green and Blue (RGB) LEDs blended together in different combinations gives the lighting designer loads of colour choices. 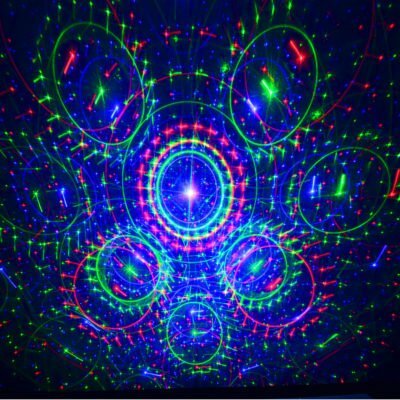 This is using a principle called Additive Colour Mixing, where the coloured LEDs mix on any surface that reflects the light. Small and Compact – LED lighting fixtures can be made in small, discreet packages which suit applications where size and brightness are important such as exhibitions stands. High Brightness – This really comes down to the ratio of light brightness to power consumption. The new high powered LEDs are very bright considering small amount of electrical power they use.